Picking the ideal family car isn’t easy. What would you look for in a car if you were purchasing one just now for your family? I would look for something that had space, with three children you need this. This would be my main priority. Next would be cost and running costs. 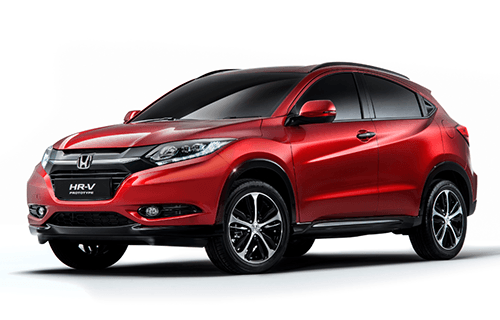 The Honda HR-V seems to have what I am look for so thought I’d investigate. This is one of the most anticipated car of 2015 and will hit forecourts in the Summer of this year. The car has a seven-inch touchscreen display which allows members in the car to access the internet, news, traffic, weather and music streaming. Perfect for nursery rhymes and audio books for keeping those little ones amused in the car. I find that playing games like counting the different colours of passing cars and eye spy keep slightly older ones occupied in the car. DVD’s, music and audio books are great for all ages. But you have to watch out for car sickness. Stadium seating is supposed to help this, but not sure as not tried it yet. Also check out the safety of the car you are looking at. Most car manufacturers now build their cars to achieve EuroNCAP’s full five-star safety rating but it’s always worth checking these out. And making sure they have rear child locks, most come as standard, but it is essential to have. I love having built in tinted sun blinds in my current car and I miss the built in DVD player I had in my previous car. Also I need to make sure I can fit in three car seats comfortably. What about the colour of the interior? Do you go for dark to hide stains? Making sure there is lots of boot space is a top priority for us, as we do a lot of touring around the UK, you need plenty of space for buggies and luggage, especially with babies. Plus is helps make the shopping trips a little easier. With a large family, there is a lot of shopping. Disclaimer:- This is a featured post, one I am interested in and all words are my own.